Having an Order Comments field on your checkout page is useful for allowing special instructions on an order. Adding this field is easy, simply turn on a setting in your site's theme. The setting Allow Public Order Comments is located in the Global Theme Settings page. After enabling, the Order Comments text box appears on your checkout page above the Order Items. 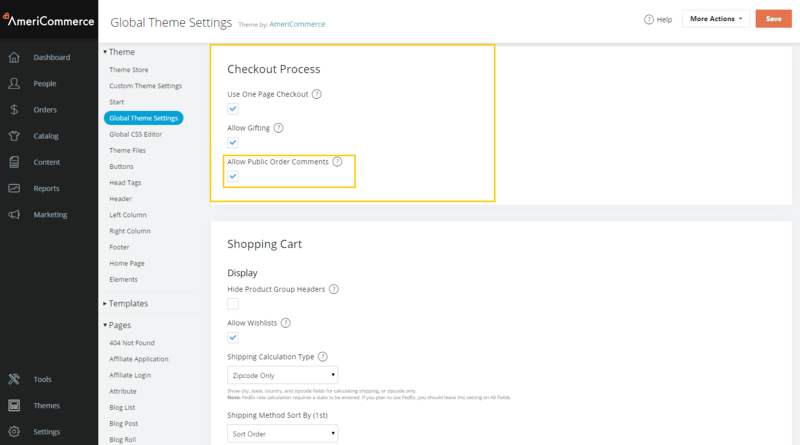 How Can I Add A Terms & Conditions Checkbox On The Checkout Page? How do you limit the number of characters? Because it is unlimited it is causing disruption with ShipStation. Thank you.